It is clear that the Final Fantasy series is one of the most successful of all time, with these games having been played by millions to date ever since the original Final Fantasy game debuted in 1987. And now Square Enix has finally released Final Fantasy XV, a game that looks like it will offer more of the same great role-playing gameplay, beautiful visuals and superb characters and story as past games such as Final Fantasy IX (arguably the best game in the series) did back in the day. Actually, the game has gotten pretty solid reviews so far, with the likes of IGN stating that “Final Fantasy XV feels like nearly everything I could want from a modern Final Fantasy” in its review. Those looking to pick up Final Fantasy XV will likely be interested to know that like most modern video games these days, there are several special editions of the game on sale right now. For starters, there is the game’s Deluxe Edition, which includes the pretty good Kingslaive movie released last August, and comes in a nice steelbook case illustrated by artist Yoshitaka Amano. This edition also includes several in-game goodies: the Masamune weapon, a Royal Raiment outfit and a Platinum Leviathan recolour for Noctis car (a real-life version of which went on sale in Japan recently). 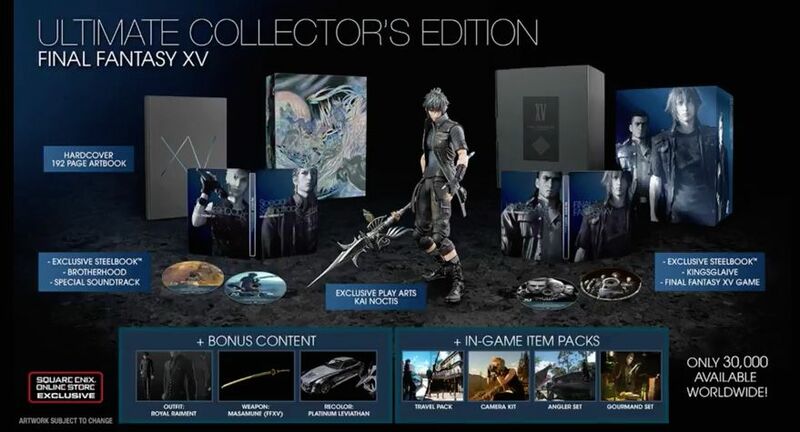 There is also an Ultimate Collector’s Edition of the game available (see image above), which aside from including everything in the Deluxe Edition also includes a Play Arts Noctis figurine, a hardcover art book, several steelbook cases adorned with images of Final Fantasy XV’s cast, and the Brotherhood anime which was released on YouTube prior to the game’s launch on a disc, plus several in-game goodies. Of course, there is also the game’s standard edition for those that are not interested in video game extras and would rather just focus on playing the game. 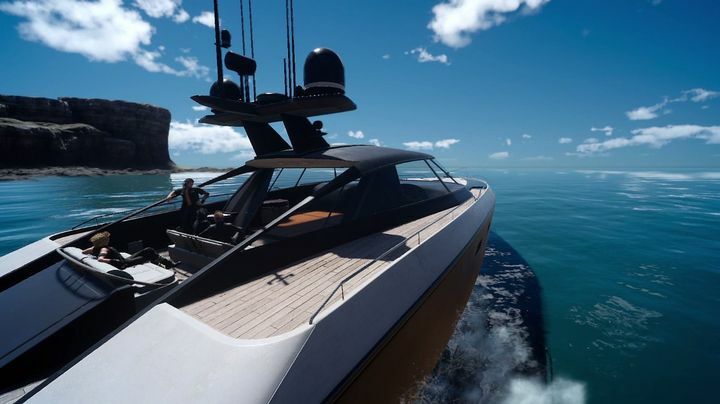 But no matter which edition players pick up, it is clear that Final Fantasy XV is one of the most important video game releases in recent memory, and is already looking like it will stand amongst 2016’s top games when all is said and done this year.